Dragon Ball Super Episode 127 was revealed recently, and it gives us a lot of major information about the upcoming episodes! And guys, these spoilers are pretty major and reveal quite important plotlines from the next couple of episodes. So folks, be warned and if you do not want to get into some major spoilers, click away now. Because these spoilers will not only contain spoilers from episode 127, these will also tell us the outcome of the fight between vegeta and Toppo in episode 126. So, guys, without further ado, let’s get right to the new batch of spoilers, and really dissect what all of this means for the Tournament of power arc as well as the ending of the Dragon Ball super series. It continues: The injured No. 17 helps out Goku and Vegeta as they battle Jiren! No. 17 uses a life risking strategy to support Goku and company against Jiren’s overwhelming power!! So yeah, that’s it for the spoilers. And primarily, you wouldn’t think much of these spoilers. I mean, we already had a part of the title leaked last week, and it basically confirmed that 17 would still be in the tournament at least till episode 127. I even said so in a previous video. So, a lot of the fans would think that this doesn’t tell us much, other than the fact that 17 will be the one to risk his life this time. However, I am here to help you guys read between the lines. Something all of us love to do with Dragon Ball super spoilers. So, it says 17 will be risking his life to help Goku and VEGETA as they battle Jiren. Do you know what it means, guys? 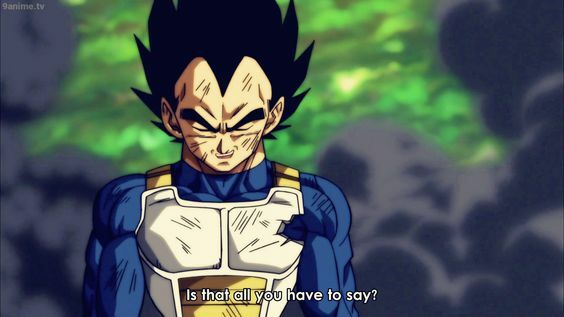 This simple sentence doesn’t only say that 17 will be in the tournament of power for a little bit more, it also tells us that Vegeta’s desperate blow or life risking blow will not result in elimination or death for our Beloved King of badass quotes. A lot of the fans, and dragon Ball youtubers speculated that Vegeta will not be able to survive his own desperate attack against toppo. Either he’ll turn himself into a bomb and sacrifice himself to get rid of Toppo like he did in the Buu saga against Majin Buu. Or, his attack will just fail and the duo of Jiren and Toppo will just throw him off the stage after he collapses as he used up every ounce of energy he had in him. 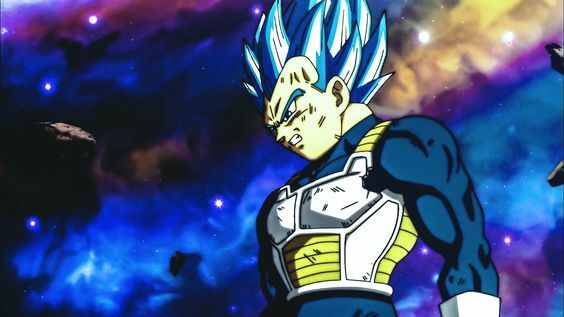 But Guess what, motherFu*kers , the prince of all saiyans will not only survive the double team attacks from the duo of universe 11 and his own desperate attack, but he’ll also be in good enough shape by episode 127 to go back to teaming up with Kakarot to fight Jiren. That’s Vegeta for all of you haters out there. If that’s not badass, I don’t know what is. So, getting back to the spoilers, it looks like No. 17 will also be surviving episode 126 but he will be injured. Well, no surprises there, because if he weren’t injured in 126, vegeta would have no reason to go fight Toppo in episode 126 in place of 17. However, 17 may be injured, but he’s doing good enough to go fight Jiren in the very next episode. And the interesting thing here is, that right after the episode where Vegeta risks his life or attacks desperately, we’re set to see 17 risk his against Jiren. Well, I get it how the stakes are really high for the tournament and we are inching towards the end. But if everyone is risking and sacrificing themselves in each episode, doesn’t it loose a little bit of oomph or seriousness? Regardless, it looks like they’re completely getting their money’s worth with number 17. 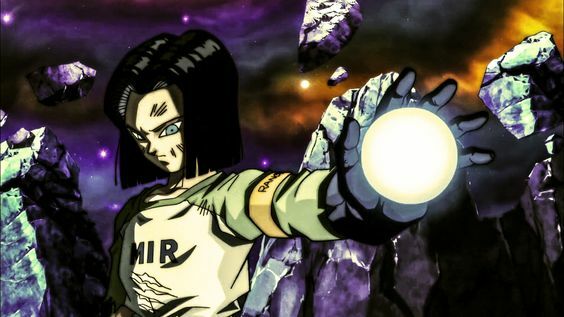 We already made an appreciation video for the former android for his contributions in the tournament but it looks like 17 going to be the gift that keeps on giving. We’ll see how his life risking strategy against Jiren plays out in 127. However, if I had to bet, I’d say 17’s strategy either involves his energy shield sphere, or some sort of head to head combat with Jiren. 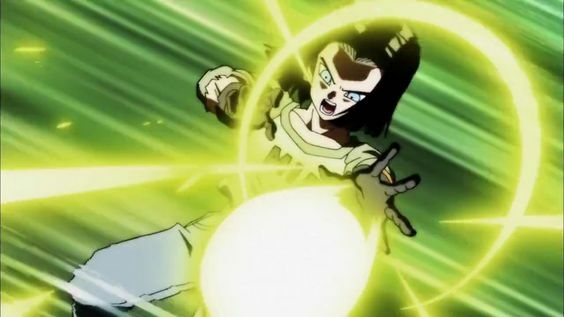 You may think he may try to use up all his energy in one attack against Jiren which may lead to him getting completely drained and thus risking his life, but there’s no chance of that happening because being an android in the past, he still has access to unlimited energy. So, this will be really interesting to see how exactly he risks his life as well. I said in a passed video while assessing spoilers from 126, that Goku might be out or seriously injured considering he wasn’t mentioned at all in the spoilers. Well, apparently he’s back and fighting Jiren again too. So, I guess I’m not getting my wish of seeing the main protagonist getting eliminated earlier than expected. From these spoilers though, we see no mention of Toppo or Frieza. Well, if you ask me, Frieza is still unconscious in the edge of the stadium he ended up on, on episode 125, and won’t be doing much in the next 2 episodes at all. Toppo however… I think will be eliminated by Vegeta in 126. Yes, I’m almost certain that that’s how episode 126 will end. I’ll tell you why. The title of 126 itself says that vegeta will be surpass a God, in this case toppo, and then in the summary, it’s mentioned that he’ll also be risking his life with a desperate blow. So, if he goes to such desperate extents in 126, and in 127, he’s back fighting Jiren, logically, it would mean toppo is out of it. Because if the attack failed, that would be the end of Vegeta at least from the tournament, and if it didn’t fail, Vegeta I’m sure wouldn’t go back to fighting Jiren without finishing the job with Toppo, now that everyone knows how dangerous he is. So, I really really think that Toppo will be done by 126. And there will be a 4 on 1 advantage in favor of universe 7 in episode 127. However, I also think 127 will also mark the end of 17 as well. Because as much as I’ve fallen in love with the former android through this, I think he really needs to go for the story to develop. I can’t wait to watch episode 126 and 127 and see how the episodes play out. Let us know what you think is going to happen in the comment section below. Thank you all for watching and leave a like if you enjoyed the video.